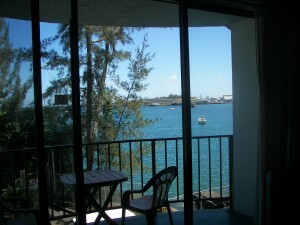 I am gazing past moored sailboats to the houses across Hilo Bay. The wind is gently asserting itself. They say this is a typical March day on this side of the Big Island. Back in New York, my car is buried in snow. Calculations scribbled on yellow legal papers are spread all over the patio table. They are being held down against the breezes by my traveling clock. I’ve scratched out some basic figures— my new pension, the cost of living here. The numbers tell me that I can afford to retire to Hawaii. She had become Hawaiian four years earlier, immediately upon retiring from the Springfield, Massachusetts Public Schools. We were teaching buddies there. In 1988 Michele and I were resource teachers in Springfield’s pioneering Community Service Learning Department. Our boss, Carol Kinsley, kept insisting that Michele’s job was The Elementary school specialist and my job was The Secondary school specialist. However, we never accepted the division of labor. We did projects together. Here we are on neutral ground at a K-8 school. Michele and I were a great team from the get-go. We both represented a generation of school teachers who had been encouraged to find their own creative connection with kids. We had been free to experiment with the curriculum from within our own spirit. Our generation was taught that teachers could teach only of themselves, no matter what their subject matter was. No man can reveal to you aught but that which already lies half asleep in the dawning of your knowledge… If he is indeed wise, he does not bid you enter the house of his wisdom, but rather leads you to the threshold of your own mind. In Community Service Learning, Michele found a threshold into her students’ minds and hearts. She would first nurture a sense of community in her classroom, then she extended her classroom into Springfield’s neighborhoods. Her students learned to read, write, calculate and study as they actively worked with the homeless, the elderly, the hospitalized, and the very young. Given the opportunity to serve others, all children will rise to the occasion. 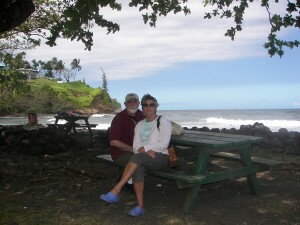 A teacher retires and just two days later, she is on the plane to Hawaii— all her possessions sold or given away! Michele is just one example of a recognized master teacher who was serving inner city schools with decades of experience, perfecting teaching skills which benefited both her students and her younger colleagues. She, like so many others, could have stayed on in the classroom, practicing her craft and mentoring another generation of teachers for another 5 or even 10 more years. She could have stayed on for the sake of the children. She could have stayed on as a role model for those rarest of qualities in Education: seasoned experience with loving enthusiasm. An historical tipping point came in the early 1990’s when American parents accepted the blatantly materialistic assertion that a child’s most important achievements in school could be fully measured by paper and pencil tests. Before the ink had dried from George W. Bush’s signature on No Child Left Behind, you could already hear the distant sound of violin bows and paint brushes snapping in half. You could foresee the finger-paint and building blocks being dragged out of kindergarten classrooms, replaced by calculators and spiral notebooks. A straight line of cold logic swiftly insisted that teachers could make test scores rise in direct proportion to “time on task.” TEACHING-TO-THE-TEST came to define American public school teaching. Through time-on-task mandates, Massachusetts state assessments came to drive the entire curriculum, especially in poor, urban areas like Springfield. The pressure was on to bring those numbers up. VALUES-BASED INSTRUCTION, like Community Service Learning, fell into lip service. What prevailed in classrooms all over America, instead, was FEAR-BASED INSTRUCTION— intimidation passed down the chain of command from Washington, DC to your local kindergarten. Educational authority ceased to be derived from established wisdom, brain science, collegial discussion or professional judgment. Instead, policy ideology was now asserted with a slap imposed by federal law. Michele soldiered on until that fateful day in May, 2003. She was handing out the MCAS state Test that she had dutifully prepared her class to take. One of her girls, overcome by anxiety, threw up on the floor. As Michele comforted her student, within herself, she resolved to get out of the test administration madness. She concluded that it was no longer possible to teach children anymore. Quicker than a principal could click his heels three times and recite “Firecracker Volcano Goddess,” my spirit-sister left Education and switched all her clocks to Aloha time. Before I leave, I share the first draft. So keep in mind my Spirit Sister Michele when you behold the wave of master teachers, like her, now saying ALOHA to the American Public School System. This entry was posted on Monday, September 19th, 2016 at 7:00 am	and is filed under Education. You can follow any responses to this entry through the RSS 2.0 feed. Both comments and pings are currently closed. So what’s the future? There are so many young energetic teachers just starting out with so much to give and such a desire to teach ……will they survive the Test Age or will their dreams just get squashed by the Test Masters. ALOHA Michele, from another happy retired teacher! Wow, I know the Aloha side of Michele, but this gives me a whole new insight. Thanks for sharing. Beautiful! And how true about No Child Left Behind. I once heard a workshop presenter refer to it a No Teacher Left Standing. Wow. We always shared the same sentiment in regard to our students. Yes, you couldn’t have said it any better. Only a year or two left for me. That’s my beautiful, intelligent cousin and real friend! Lot’s of Love and Aloha! I was touched by your story and after I read it I said, “Oh, Wow!” to myself. Teaching is an extraordinary experience and it’s only as I move on that I begin to appreciate it even more. Having spent 33 years in the NYC System (some might say “asylum” but that’s too strong a word for me) I am back working as a consultant one or two days a week. The focus of what I do emphasizes the social and emotional component of education. “Conflict Resolution” is the hallmark of our program and rattles the cages of those who are convinced that academics is all that matters! Where does the “Heart” come into play?, I say! Just today, I met with a brand new Principal, Asian American Female , 34 years old, and an African American Male, Assistant Principal. 32 years old. I held a 3 day training session with their staff three weeks ago. They are opening a brand new school for K-2 students. I am planning additional staff development for the staff at the school called “The Family School”! It’s too bad that two people like yourselves couldn’t share your experience and expertise longer. In talking to people still in the system, I already see the driven need to have their students “whipped” into shape, academically! That’s great, but let’s not forget the social and emotional component. The Heart is a lonely hunter! 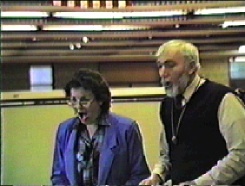 We both retired, frustrated with what teaching had become, with deep memories of what it should be. Since meeting Michele a few years ago and having spent time with her, it’s easy to envision her as having spent her career working with children and being an active member of the local community. She has all the qualities of a Girl Scout. and it is so, just so…but may the Joe McCarthys of the world, who can find a place to add something positive, prosper and multiply. I retired in 2002 when I was hassled because my 8th grade remedial readers weren’t passing the tests. They arrived in August reading at 3rd &4th grade levels. In March they weren’t able to pass 9th grade proficiency tests. 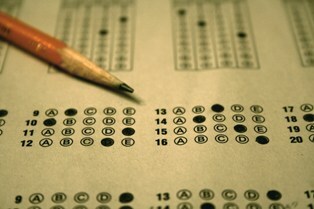 Each test,no matter the subject, was a reading test.